In this essay, I hope to provide an outline of the origins and scope of Jadidism in the early twentieth century, when the movement flourished. I will introduce the reader to some of the materials published by the Jadids. I will then described, with greater brevity, the fate of Jadidism after the Russian revolution of 1917 and recount briefly the main parameters of Islamic life during the Soviet period, and I will conclude with some observations on Islamic movements inpost-Soviet Central Asia. My main focus will be on Jadidism in Central Asia, i.e., the present-day states of Uzbekistan and Tajikistan. At the time of the rise of Jadidism, Central Asia was divided between Turkestan, which had been conquered by the Russians in the 1860s and 1870s and annexed to the Russian empire, and Bukhara, which the Russians had subjugated, but where they left the ruler (amir) on the throne as a vassal. In Bukhara, therefore, a Muslim ruler still sat on the throne, while in Turkestan, Muslim statehood had completely disappeared. Jadidism was a discourse of cultural reform directed at Muslim society itself. The basic themes emphasized by the Jadids were enlightenment, progress [taraqqī], and the “awakening” [intibāh] of the nation, so that the latter could take its own place in the modern, “civilized” world, by which they meant sovereign states possessing military and economic might. Given the lack of political sovereignty, however, it was up to society itself to lift itself up by its bootstraps through education and disciplined effort. Jadid rhetoric was usually sharply critical of the present state of Muslim society, which the Jadids contrasted unfavorably to a glorious past of their own society and the present of the “civilized” countries of Europe. For the Jadids, progress and civilisation were universal phenomena accessible to all societies on the sole condition of disciplined effort and enlightenment. 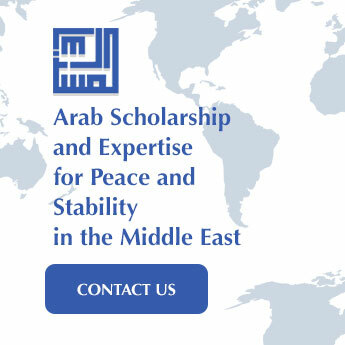 There was nothing in Islam that prevented Muslims from joining the modern world; indeed, the Jadids argued that only a modern person equipped with knowledge “according to the needs of the age” could be a good Muslim. This argument was made repeatedly in editorials, plays, and belles lettres. The earliest champion of Jadidism was the Crimean Tatar Ismā‘īl Bek Gasprinskii (1851-1914) whose tireless efforts gave shape to Jadidism as a cultural movement. In 1883, he received permission to publish the newspaper Terjuman (Interpreter) in his native Bāghchasarāy. Terjuman became the standard bearer of Jadidism throughout the Russian empire and even beyond, influencing cultural debates in the Ottoman empire as well. In 1884, Gasprinskii opened the first “new-method” elementary school in which children were taught the Arabic alphabet using the new, phonetic method of instruction. The new-method schools quickly became the flagship of Jadid reform. The emphasis on enlightenment also gave rise to a boom in publishing among the Tatars, as Jadid authors wrote and translated (from Russian, French, Ottoman, and Arabic) thousands of books on all subjects. On the eve of the revolution, modernist reform had appeared in almost all Muslim societies of the Russian empire. While it shared a great deal in common, it varied in its success as well as its trajectory. There were many versions of Jadidism, each situated in the dynamics of a peculiar Muslim society. The main constituency for Gasprinskii was the urban population of the Crimea and the Volga basin, with a vigorous mercantile class able and indeed eager to support new-method schools and a print-based public space. Azerbaijani modernism had its own lineage, but peculiar to Azerbaijan’s location on the crossroads of three empires. The first efforts to reform Muslims school in Azerbaijan appeared as early as the 1830s, and the first vernacular newspaper, Ekinji, appeared in 1875. Mīrzā Fatḥ-‘Alī Ākhundzadeh took positions far more radical than Gasprinskii a generation before Terjüman began publishing. Baku of course, experienced the first oil boom in history, which produced a strong, self-confident Muslim bourgeoisie. It was they who supported the reform of Muslim education and the creation of an Azerbaijani press and theatre. In Turkestan, where Russian rule was more recent and less intrusive, traditionalist ‘ulamā’ retained considerable influence, and the carriers of reform found themselves fighting an uphill battle as they staked out a position for themselves in society. The various currents of reform remained incomplete projects that faced opposition from a number of sources. All projects of reform entail a criticism of the present state and a challenge to the status quo. They evoke opposition from those whose position they threaten. The criticism of customary practices, of Sufi shaykhs and of traditional education, common to all currents of reform, provoked a great deal of opposition. The “needs of the age” did not appear equally compelling to all sections of society, nor did they lead everyone to the same conclusions. The emergence of reform projects therefore led to heated debate in the Muslim societies of the Russian empire in the last half-century of imperial rule, as questions of leadership and communal identity divided communities. All our acts and actions, our ways, our words, our maktabs and madrasas and methods of teaching, and our morals are in decay. … If we continue in this way for another five or ten years, we are in danger of being dispersed and effaced under the oppression of developed nations. … O coreligionists, o compatriots! Let’s be just and compare our situation with that of other, advanced nations; … let’s secure the future of our coming generations and save them from becoming slaves and servants of others. The Europeans, taking advantage of our negligence and ignorance, took our government from our hands, and are gradually taking over our crafts and trades. If we do not quickly make an effort to reform our affairs in order to safeguard ourselves, our nation, and our children, our future will be extremely difficult. For the Jadids, much about Central Asia and its culture had to be reformed and recast if the challenge were to be met properly, while continuation in the old ways could lead to the extinction of the community. The Jadids saw as their mission the awakening of their nation (millat) from the sleep of ignorance through combining exhortation and self-criticism with warnings of dire consequences if the call were not heard. Faith in the power of knowledge (and education) to ameliorate the situation was central to the Jadid project, and I will examine it in greater detail in the next chapter. Suffice it to note here the connection between the decay in morals and ignorance as well as the intimation of mortal danger if society does not change its ways. The reverse of progress was decay. The Jadids espied not just stagnation, but decline in their society. If knowledge needed proper social organization in order to flourish, the Jadids saw only disorder and chaos around them. Earlier Muslims had cultivated knowledge, but succeeding generations, through their heedlessness, had forgotten even the names of their forebears. Jadid writers often evoked the names of Ibn Sinā, al-Fārābī, al-Bukhārī, and Ūlūgh Bek as exemplars of a previous age of learning that had been forgotten. Knowledge for the Jadids was universal, not culturally specific. Comparisons with “developed” nations were therefore not just permissible, but mandatory, and the Jadids constantly made them. The central rhetorical tool for the Jadids was ‘ibrat, seeking admonition or heeding laudable example. The Jadids saw themselves as showing their society the mirror of admonition so that society could reform itself. Much of what the Jadids wrote about other societies (or their own) stemmed from this rhetorical purpose. Their accounts of “developed” countries were entirely positive. Maḥmūd Khwaja Bihbūdī, the influential Jadid thinker from Samarqand, was fond of publishing statistics showing numbers of newspapers, theaters, schools, or expenditures on education in various countries of the world. Newspapers wrote of technological progress, philanthropy, and collective effort in other countries, all the while exhorting their readers to heed the call and follow the example. Europe always presented a positive image because its states and societies were models for emulation. The Jadids emphasized the need to learn from Europe in order to achieve what European states had achieved. This is particularly clear in the works of ‘Abd al-Ra’uf Fitrat, perhaps the most influential Jadid writer of the era. His first work, A Debate between a Bukharan Mudarris and a European in India on the Subject of New Schools (1911) is couched in the tradition of munāẓira, and consists of a single dialogue on the permissibility of modern, “new-method” schools. Fitrat’s mouthpiece is the European, who argues that not only do the new schools not contravene Islamic injunctions, their establishment in necessary for the survival and self-strengthening of Bukhara. This concern with survival and self-strengthening was the most important consideration for the Jadids. In a second book, The Tales of an Indian Traveller, Fitrat laid out his reformist vision in a more comprehensive fashion. The affairs of Bukhara are examined through the eyes of a fictional Indian Muslim traveller, a sympathetic outside observer who describes what Bukhara needs: reform in the realms of economic planning, public health, policing, as well as education. “What do the ruler’s men have to do with this?” comes the reply. Master: Our trade was good a few years ago. Now too it’s not bad. But only God knows its future. Planning and foresight were essential to progress and modernity, and they were lacking in Central Asia. For Fitrat, they constituted an essential duty of the state, for the Traveller then proceeds to outline an economic policy that Bukhara should follow in order to secure its prosperity. The middle of the first decade of this century, when the first Jadid newspapers appeared, was a time of great optimism in the wake of revolution in Russia (as well as in Iran), and the hope of a liberal constitutional regime in Russia was very much alive. But the situation changed rapidly. Political life in Russia chilled after 1907, while the news from the Muslim world was uniformly bad. Morocco’s rapid subjugation to France and Spain coincided with the virtual disintegration of Iran, but it was the numerous wars faced by the Ottoman empire in the period after the Young Turk revolution of 1908 that shaped a sense of crisis among the Jadids of Central Asia (as indeed among Muslim intellectuals the world over). The wars were covered extensively in the Muslim press of Russia, including the official Turkestan Provincial Gazette, and brought to the Jadids a certain sense of urgency. Hājjī Mu‘īn cited the example of recent territorial losses suffered by the Ottoman empire and Morocco to bring home the same point: “With the help of the development of science and technology [‘ilm wa fan], Europeans can keep an eye on the affairs of all kinds of people in the world. The world has become a struggle for life in which every powerful thing destroys the powerless.” To stay in the game, every nation had to acquire the means necessary for survival, of which knowledge was the most basic. “No nation can survive in the battleground of life without knowledge,” wrote a contributor to Ā’ina (Mirror). “Any such nation, whether master [ḥākim] or subject [maḥkūm], will succumb to other nations who possess industry and skills….If subject nations wish to survive without losing their religion and nationhood [dīn wa milliyat], they must acquire wealth.” The responsibility for survival therefore lay with the nation itself. Ignorance could be fatal. Death constantly stalks Jadid literature. In Behbudi’s The Patricide, a rich merchant refuses to send his son to school; the latter, unable to tell right from wrong, falls in with bad company. One night, in need of money to pay for a prostitute, the group attempts to break into the merchant’s house, and ends up killing the merchant. In Abdullah Qādirī’s The Unfortunate Groom, an impecunious young man forced to conform to custom and celebrate his wedding with an expensive feast (toy), goes bankrupt and commits suicide along with his wife. In Hamza’s A Poisoned Life, a young woman married off by her ignorant parents to a wicked old ishān (Sufi shaykh), takes her life, and is followed to the other world by her erstwhile suitor, a young man of modern learning and good intentions. In Cholpān’s Doctor Muhammad-yār, murder takes place almost at random, the result of the ignorance that reigns in Central Asian society. (Occasionally the wages of ignorance are other than death. In Qādirī’s The Pederast, the protagonist murders several rivals and is sent off to Siberia as a result.) And Ajzi painted a portrait of his city in the future when splendid prosperity reigns over it, but all its madrasas have been turned into restaurants and its mosques replaced by churches; there are no Muslims left. The cause of moral corruption was ignorance, and knowledge was the only true guarantee of good morals and piety. The Indian Traveller also visits the tomb of Bahā’ ad-Dīn Naqshband on the outskirts of Bukhara and is dismayed at what he sees there. Pilgrims kissed sacred relics such as rams’ horns and a flagpole bearing the mazār’s banner, and prayed to the buried saint. The Traveller considers this idolatry, and asks, “Is it possible that you consider others ‘infidels’ for idolatory and worshipping the cross, and but worship flagpoles in mazārs, ask Bahā’uddin about your needs, and yet consider yourself Muslims?” Criticism of customary practices for being not “truly Islamic” and hence connected to ignorance was a common feature of Jadid discourse. “Schools are blessed places built for our good,” a textbook informed pupils. “Mosques are also extremely sacred places built for Muslims to worship in. If there were no schools in the world, who would enter a mosque and worship there?” It was a crisis not because the morals of individuals were at stake or because sin was widespread, but because immoral acts led to dereliction of duty to the community which had come to be the locus of Jadid reform. Jadidism as a Muslim movement arose at a specific time and place, viz., in the age of colonial empire. This fact defined the opportunities and the possibilities open to the reformers as well as setting certain constraints. The Tsarist empire was not interested in intervening in a society at a micro level and it was largely tolerant of non-Christian religions. It did not, however, have any patience for any overtly political activity. Educational reform and the advocacy of cultural and religious change were therefore the main route taken by this movement. Much of this changed with the Russian revolution of 1917 and the redrawing of the geopolitical map of the world with the defeat of the Ottoman empire. The Russian revolution opened up a new world of possibilities for the Jadids. Up until then, Jadidism had been limited to the reform of traditional schools and exhorting the Muslim community to heed the call for reform. Now, the Jadids hoped to lead change through the mechanisms of the state. The Bolsheviks who took power at the centre had an agenda of radical social and cultural transformation of their own, and for much of the 1920s, the Jadids and the Bolsheviks found areas where they could cooperate, however uncomfortably. The 1920s were, therefore, years of great enthusiasm for the Jadids. In Bukhara, the emir was overthrown by the Red Army in 1920 and replaced by a government composed of Bukharan Jadids who took the name of “Young Bukharans.” During its brief existence, the Young Bukharan government tried to put in place many of the policies that Fitrat’s Indian Traveller had advocated in 1911. A major goal of the state was economic development through control over the country’s economic resources. It also had a clear mission of fighting ignorance and fanaticism. The government also sought to reform Islam by bringing Muslim institutions and large swathes of Islamic activity under the state’s bureaucratic control. The Young Bukharans nationalized the large amount of property held as waqf and diverted it to the ise of public education. They also tried to establish a system of public health, and sought to establish a national economy. They sought the support of the ulama, though they also faced massive opposition from conservative society. In Turkestan, which was part of Soviet Russia, few Jadids got close to political power. They did, however, dominate the cultural realm for much of the decade, during which they worked to create a new national culture and cultural identity. What allowed the Jadids to do all this was the Soviet regime’s commitment to overcoming backwardness and revolutionizing culture. The Soviet state provided funds for the opening of new schools, the publication of newspapers, magazines, and books, and even for theatre. The Jadids also poured a great deal of energy into the creation of modern schools. The first state-run schools for the indigenous population were new-method schools of Jadid provenance, which were taken over by local soviets (councils) and turned into Soviet schools. Changing the position of women was another area of Jadid concern. Since before the revolution, they had argued for changing the position of women in local society. Using arguments from the Islamic tradition itself, they had argued that the position of women in contemporary Central Asian society was in need of change. The progress of Islam and the nation required that women be educated and that they take an active part in public life. After the revolution, the Jadids emerged as major proponents of changing women’s position in Muslim society. Their main concerns were with education, marriage at very young ages, polygyny, and, increasingly, unveiling. The 1920s saw a great blossoming of culture. It was the period when modern culture took shape in Central Asia. In Uzbekistan, we see great creativity in theater, the emergence of a modern poetic sensibility, and the appearance of the novel. In other republics of Central Asia, too, similar processes took place. Above all, the culture of this period was marked by a concern for the nation. The years after World War I were the highpoint of nationalism throughout the Muslim world — Arab, Turkish, and Iranian nationalisms all flourished then — and Central Asia was no exception. In Central Asia, however, situation was different. There, the nationalist modernists were not fully in control of the situation. Instead, Central Asia remained part of the Russian state and the Bolsheviks, who emerged in control, wanted to transform all aspects of state, society, and culture. Many aspects of this transformation overlapped with the kind of reform the Jadids had argued for, but the Bolshevik intent was quite different. The Bolsheviks were not interested in helping the Jadids implement their reform program, but had their own utterly utopian vision of remaking the world. The vision was utterly universalist. All humanity was fated to tread the same path to the classless utopia of communism. Cultural difference was significant for the practical purposes of conveying the message to each national group in its own language. The task of the party-state was to usher all groups along to the final destination. The extremely vicious policies of social engineering of the Bolsheviks were justified by these lofty ideals. The issue of religion was central. The Bolsheviks had absolutely no need of it. Marx had written, “The wretchedness of religion is at once an expression of and a protest against real wretchedness. Religion is the sigh of the oppressed creature, the heart of a heartless world, and the soul of soulless conditions. It is the opium of the people.” Religion was an ideological cloak that hid the exploitation of man by man, and provided ideological cover to exploiting classes to disguise their exploitation. Once exploitation disappeared, so would religion. By mid-1926, party authorities in the region felt ready to launch an assault on traditional society. It was ferocious and destructive, though it began modestly enough, with Uzbekistan’s people’s commissariats of justice and education beginning to shut down all unofficial schools. During the course of the following academic year, all old-method schools and madrasas were shut down. Qadi courts were similarly suppressed quickly; with its beneficiaries gone, the waqf administration was abolished and all property controlled by it nationalized; the religious boards were abolished by 1928. Along with schools and courts went the mosques. A few mosques had been closed earlier in the decade and their buildings given over to “socially useful” purposes, but the years between 1927 and 1929 saw a sustained campaign of closures and destruction directed against them. The closures were assigned either to the secret police that went around with the authority to close down schools or mosques and confiscate their property. Much of this campaign was the work of young Central Asians themselves, who were enthused by the ideas of the revolution and hopes of making a better world. The campaign against mosques tended to run out of control and we have little concrete data on the extent of the destruction of mosques and mazars, but the evidence of destruction was to be found in the form of half-destroyed or disused mosques that dotted the landscape for the rest of the Soviet era. The anti-religious campaign was curtailed only in 1941, when the Nazi invasion of the USSR led the regime to making peace with society. Restrictions on religious observance were eased, and in 1943, the Soviet state permitted the establishment of a Spiritual Directorate for the Muslims of Central Asia and Kazakhstan (al-Idārat al-dīnīya li muslimī āsiyā al-wusṭā wa Qāzāqistān). This was a official organization, responsible to Council for the Affairs of Religious Cults, with the task of regulating religious observance throughout the region. The purpose was as much to control religious activity, as to facilitate it, and the directorate’s position was always ambiguous. The directorate was able to train a small number of religious scholars and even to send some of them overseas for higher religious education. It also issued fatwas, often on demand of state authorities, to give Islamic justification to selected Soviet policies. These fatwas are best seen as back-up insurance by Soviet authorities for policies or practice they felt could be unpopular. They had no legal standing in terms of Soviet law. The destruction of the infrastructure of Islam is what makes Muslim societies under Soviet rule different from other parts of the Muslim world. The effects were of fundamental importance. Soviet Islam became localized and was rendered synonymous with tradition. With Muslim educational institutions abolished, the ranks of the carriers of Islamic knowledge denuded, and continuity with the past made difficult by changes in script, the family became the only site for the transmission of Islam. At the same time, since no new religious texts could be published, and oral chains of transmission were often destroyed, the available religious knowledge was vastly circumscribed. This situation prevailed for almost six decades until Mikhail Gorbachev introduced glasnost (openness) in the late 1980s. Interest in religion soared throughout the Soviet Union in the Gorbachev years. Glasnost led to a quest for moral and spiritual values that were now seen to have been corroded by Communism. There was also a very important element of the recovery of national memories and national legacies in the turn toward religion. Many people, Communist Party members included, rediscovered religion in its various forms. Some returned to traditional forms of ritual, while others experimented with denominations new to the area. In Central Asia, local Communist elites were much more circumspect about loosening ideological control than their central counterparts, and it was only in 1988 that they stopped the surveillance and persecution of religious activities. After that, however, there was a rapid turn to Islam. Islam became visible in public again. Many people who had never done so before began to pray regularly and to observe other Islamic injunctions. It became possible again to travel to Mecca for the annual pilgrimage, and every year thousands of people make the trip. Mosques began to be opened, while those that had long operated in disguise came out into the open and sometimes moved to more appropriate premises. In some instances, old landmark mosques (the so-called “monuments of architecture”) were put back into service. The number of mosques in the region swelled, and religious education began to be reestablished. A number of madrasas were opened in the first years of independence to provide higher Islamic education. There was also considerable interest in learning Arabic and especially the Arabic script in which Central Asian languages had been written until the 1920s. One could even begin to speak of an Islamic revival in the region. For Central Asians, a rediscovery of their national heritage meant, in part, rediscovering Islam and Muslim culture, and re-establishing links with the broader Muslim world that had been severed by Soviet xenophobia. Islam was part of the nation’s ethical and spiritual values that had been trampled on by the Soviets and that needed to be reclaimed in the new age of national independence. The revival of Islam in contemporary Central Asia is therefore a profoundly national phenomenon. It takes different forms in different countries of the region. In Uzbekistan and Tajikistan, a return to Islam involves renewed interest in the achievements of the urban culture that flourished in Transoxiana in the centuries of Islam and celebrating renowned figures of the Islamic tradition as national heroes. This celebration of great figures is, of course, not limited to Islamic figures. Poets and rulers of the Muslim past are also revered as great national heroes. In Kazakhstan and Kyrgyzstan, where the Soviet period had seen massive influxes of Russians, Islam carries a different burden. 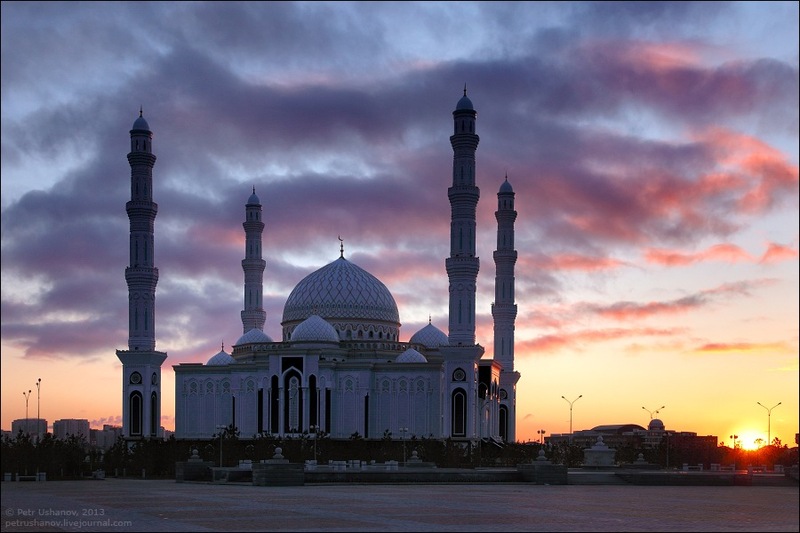 Here, a return to Islam represents an assertion of local (Kazakh or Kyrgyz) identity against the Russians who had come to dominate local cultural life. The building of mosques has as much to do with asserting Kyrgyz or Kazakh presence in the physical landscape as anything else. A number of different Islamic movements can be discerned in post-Soviet Central Asia. The Hizb-ut-Tahrir has found many adherents in Central Asia, even though everywhere it is banned as an “extremist” organization. It is indeed correct that its local branches often do not have the same intentions and ideals as the global organization. The Islamic Movement of Uzbekistan, a jihadist outfit that emerged in Afghanistan in the 1990s, exists with a militant agenda, although its presence in mostly in Afghanistan and Pakistan. The Tablighi Jamaat has made important inroads, as have the Gülen schools of the Turkish organization of Fethullah Gülen. The predominant trend, however, is that of the emergence of a scripturally rigorous Islam. As Islamic knowledge has returned to the region and Islamic publishing and education have been reestablished after the collapse of the Soviet Union, the process of separating Islam from customary practice has gone far. Yet, it is difficult to see these developments as the revival of Jadidism. Jadidism was an Islamic discourse of modernism that existed in a very different time and place. It was much too rooted in its own time and space to be replicated eight decades later in a very different world. Jadidism arose with the appearance of new groups in the Muslim societies of the Russian empire, groups that could articulate a message of reform when faced with new needs and with possibilities for various kinds of change. The pressing issue, glossed by the Jadids as the attainment of “progress” and “civilization,” was of reordering society so that it could cope with the challenges posed by new circumstances (as seen by the Jadids). Spreading functional literacy, disciplining members of society into new forms of sociability, inculcating new kinds of solidarity — these were goals to which the Jadids strived using new means of organization and communication appropriated from contemporary Europe. Moreover, Jadidism arose during the high age of empire, which defined the political aspirations of the Muslims of the Russian empire. Down to 1917 (and indeed, into the revolutionary period), sovereignty was scarcely the issue for the Jadids, who sought to work for the reconstitution of Russia as a liberal, democratic, and tolerant state. In the process, Muslim societies had to be reformed, and Islam itself rethought in an innovative, at times iconoclastic, manner. The authority of custom and tradition, and traditional elites had to be called into question, and it was. How does this compare with today? Many of the desiderata of the Jadids have been accomplished, although by the Soviet state, and not the Jadids. Functional literacy is universal, as are modern forms of sociability and national solidarity. (This is true for much of the rest of the Muslim world too, where such goals were attained by modernizing states that arose from the 1920s on.) The international context is also radically different. The normative form of political organization in today’s world is the nation-state, and national sovereignty to has been achieved. That vision is also very different from that of the radical groups in the opposition (such as the Islamic Movement of Uzbekistan), for whom there is no place for the fascination with early-20th century notions of progress and civilization. The point for the radical of today, in short, is to Islamize the modern world, rather than to modernize Islam, as the Jadids had sought. So, while there are glancing similarities to the Jadids — the call for purity of ritual, of grounding religious knowledge in the original texts, by-passing the authority of interpreters, etc. — the social, political, and cultural contexts are so different that today’s radicals have little in common with the Jadids. Mūsā Jārullah, “Madaniyat dunyasi tarraqī etmish ikin Islamiyet ‘Alamī Nichin İndi?’ İslâm Dünyasi (Istanbul), 2 March 1912, pp. 4-6. This section is excerpted from the author’s book, The Politics of Muslim Cultural Reform: Jadidism in Central Asia (Berkeley: University of California Press, 1998), chapter 4. “Iṣlāḥ ne demakdadur,” Khurshid, 28 September 1906. This message, in its broad outline as well as in its details, was repeated time and time again in the following decade; see, e.g., Jalāl, “Che bāyad kard?” Bukhārā-yi sharīf, 14 March 1912; Bihbūdī, “Ihtiyāj-i millat,” Samarqand, 12 July 1913; Hāji Mu‘īn b. Shukrullah, Eski maktab, yānghi maktab (Samarqand, 1916), 27-28. Fiṭrat Bukhārāyī, Munāzara-yi mudarris-i bukhārāyī bā yak nafar-i Farangī dar Hindustān dar bāra-yi makātib-i jadīda (Istanbul, 1327/1910), 41, 42. An excerpt from this tract is now available in English translation: Abdurrauf Fitrat, “Debate between a Teacher from Bukhara and a European,” trans. William L. Hanaway, in Modernist Islam, 1840-1940: A Sourcebook (New York, 2002), 244-253. ‘Abd al-Ra’ūf [Fiṭrat], Bayānāt-i sayyāḥ-i hindī (Istanbul, 1330/1911). Fiṭrat, Bayānāt-i sayyāḥ-i hindī, 40.
. H. M., “Ṭibb wa ḥifẓ ul-ṣihhatda ri‘āyatsizlikimiz,” Āyina, 7 June 1914, 778-779. Ḥājjī Mu‘īn b. Shukrullah, “Istiqbāl qāyghūsi,” Ā’ina, no. 2, 1913, 11. Niyāzī Rajabzāda, “Ibtidā’ī maktablarimizning tartībsizlighī, yākhūd taraqqīning yūlī,” Ā’ina, 12 July 1914, 908‑9. Abdullah Qādirī, Bakhtsiz kiyāw (Tashkent, 1915). Ḥamza Ḥakīmzāda, Zaharli ḥayāt (1916), in To’la asarlar to’plami, ed. N. Karimov et al., 5 vols. (Tashkent, 1988-89), III, 15-41. The story was serialized in the newspaper Ṣadā-yi Turkistān in 1914; for an English translation, see Modernist Islam: A Sourcebook, 1840-1940, ed. Charles Kurzman (New York: Oxford University Press, 2002), 264-269. ‘Abdullah Qādirī, Jawānbāz (Tashkent, 1915). Sayyid Aḥmad Siddiqī ‘Ajzī, Tarjima-yi mir’at-i ‘ibrat (Samarqand, 1914), 25-26. Abdullah Awlānī, Birinji mu‘allim (Tashkent, 1912), 30. Karl Marx, Critique of Hegel’s “Philosophy of Right”, trans. Joseph O’Malley (Cambridge, 1970), 131. See Adeeb Khalid, Islam after Communism: Religion and Politics in Central Asia (Berkeley: University of California PORess, 2007), chapter 3, for greater detail on this period. See Shamsuddin-khan Babakhanov, Shayx Ziyovuddinxon ibn Eshon Boboxon (ma’naviyat va ibrat maktabi) (Tashkent, 2001), for texts of certain fatwas of SADUM. The Idāra also published a quarterly magazine titled Muslims of the Soviet East, in English and Arabic.